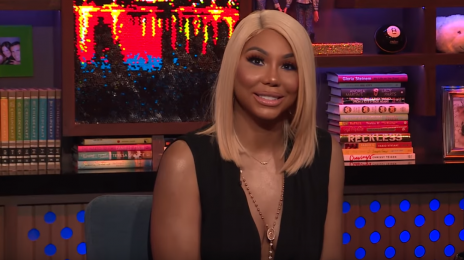 Tamar Braxton may have taken to the ‘Wendy Williams Show’ to proclaim she is trying to live a drama free life these days (click here to watch), but she must have had a relapse if the unceremonious dragging she received on Twitter is to judge by. The 41-year-old, no stranger to sister groups and certainly not to the Gospel arena’s influence, opted to come for the wig (literally) of one of The Anointed Pace Sisters – one of the genre’s most revered familial ensembles. A nine sister composite known for their soaring harmonies and spirited vocal stylings, Lashun Pace may be the most famous of the siblings for her timeless Gospel classic, ‘I Know I’ve Been Changed,’ but the collective has been royally praised for hits like ‘When God is in the Building,’ ‘Safety Zone,’ and more. Tamar always talking about “hallelu” and talking about Jesus. But I don’t think she understands Jehovah. I don’t think you understand, Ms. Braxton, about touching God’s anointed. I don’t think you ever read the story about the people, the children that were picking at the prophet with the bald head. And two bears came out of the woods and annihilated them. I don’t think you’ve seen that one. 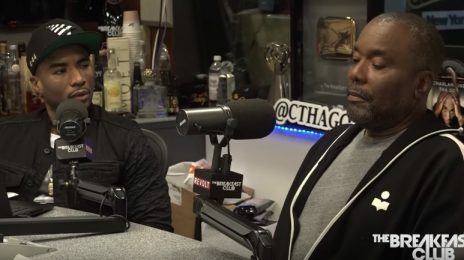 You probably haven’t seen it because most people like you, unless it’s on tv or you tell somebody tell you, you don’t know the word of the Lord. So I get it. I get that you are insecure and you are hurting, so you want to hurt someone else. I understand. I get it that when you hear anointing, it bothers you because you don’t have it. I can get with that. But the thing about the anointing my sister has, that yoke that’s in your life, if you let her sing and pray for you long enough, it will break off and you won’t be evil. Because I know that you really don’t like being evil but because it has gotten you so much attention to this day, then therefore you live in it. But God has more for you, precious. He wants you to be delivered, he wants you to be free. He wants you to really be happy. There is happiness out there for you, in Jesus. But you first have to be delivered. Needless to say, there were a few commenters who were a bit less tactful with their criticisms. Lol that you really sealed the deal for me!! ✌🏽😂 Tamuppet has been mean for so long and it’s CRAZY! Her fans allowed her to be this DUMB!! 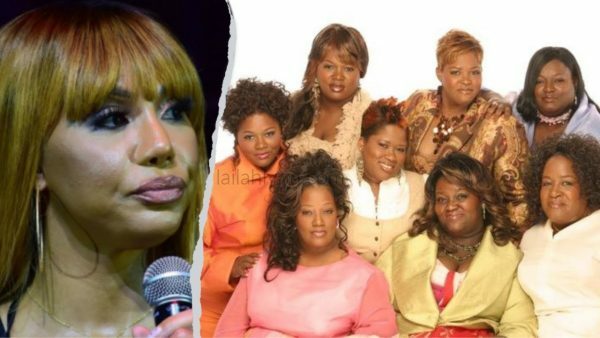 Tamar got just what she DESERVED….#GATHERED!!! Looool the gave her the most anointed dragging I’ve ever seeeeeennnn 😂😂😂 Won’t he do it! 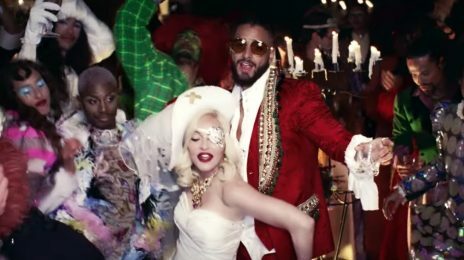 For someone who idolizes Beyonce, she sure has terrible wigs. Beyonce, say what you want about her, has fallen, but her LACEFRONTS have not. 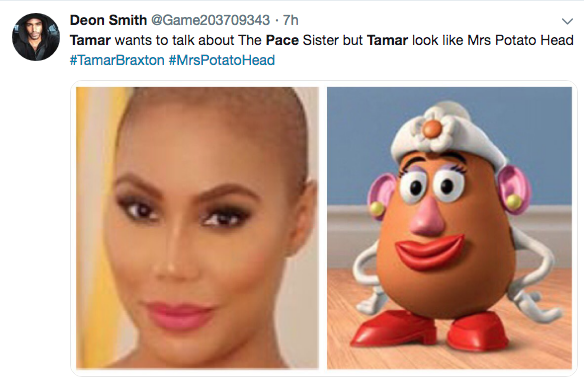 Tamar’s bald. Why is she talking about hair in the first place? And Lashun read her the Bible, Torah, Quran and every holy scripture there was. The bear story took me straight to glory. I have to find that one. It was Elisha that the children were talking about. The Lord sent a bear to kill 42 of them for calling his prophet bald headed and making Fun of him. 2 Kings 2:23-24.. 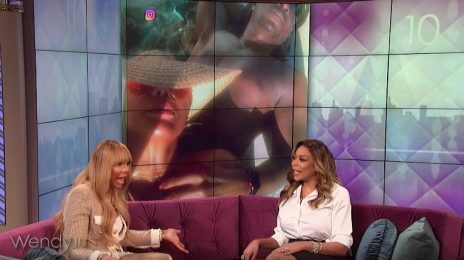 The wig was God awful but Tamar didn’t have to say it. LoL! 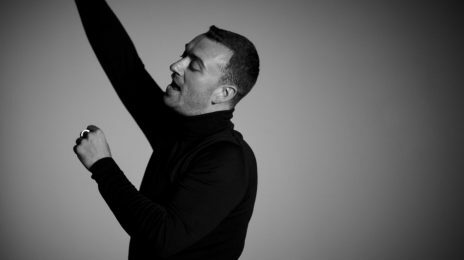 Just because you’re a legend does not mean you’re untouchable. She’s evil because she clowned her wig? 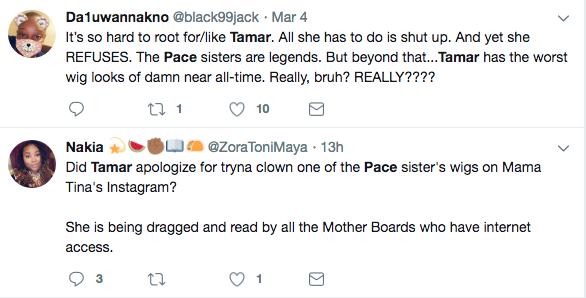 She’s clowned her own wig. Bye. How you gon’ speak on someone else’s walk w God, calling and or anointing but then call them evil?? Come on church family. Do better when your simultaneously judging someone else. 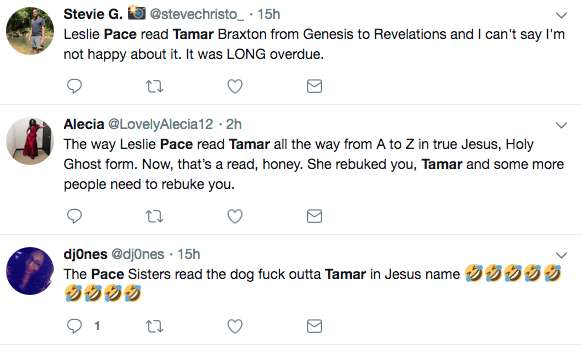 Even if she (Tamar) was wrong, she didn’t blaspheme in the process. Now you’re speaking for God and the anointing he may or may not have on someone else from an Instagram comment?? ?